Have you been looking for an easy way to dismiss your Louisiana traffic ticket? Then you have come to the right website! Our online Louisiana driving school is convenient for all drivers and just what you need! Since 1996, we have been helping motorists keep pesky tickets off their driving record, while also stopping their auto insurance premiums from reaching all-time highs. 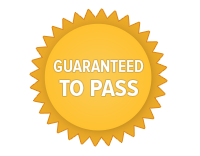 Our defensive driving course Louisiana approves will save you time, money, and gas! What more could you want? Register Today to dismiss that unwanted traffic ticket! Back in the old days, when you received a Louisiana traffic ticket you would have to worry about finding a classroom closest to home and risk having a teacher you dislike. Now, we offer a ground-breaking online Louisiana traffic school! With just Internet access, you are able to do everything from enrollment to course completion! Why would you want to leave the comforts of your home? Additionally, our online Louisiana driving school is so easy and convenient, you are able to finish the entire course on your own time! Don't move your schedule around to fit a classroom. Find a relaxing place to sit, put your feet up, save gas, and start taking out Louisiana defensive driving program! Since our company has been in business, we have made sure all motorists participating in our Louisiana traffic school are provided with a hassle-free course. When you deal with something as serious as your driving record, you want to make sure you chose the right defensive driving course Louisiana approves! Click Here to register today! Having a Louisiana traffic ticket on your driving record will have no benefit to you. In fact, it will be detrimental to your wallet! Our Louisiana driving school program will ease the stress off your wallet and dismiss your unwanted moving violation at the same time! Passing and completing our Louisiana defensive driving course will also help you avoid an increase in your auto insurance. Our Louisiana driving school meets all the court requirements statewide. Depending on your courthouse, we can even send your certificate of completion to them! Speak with one of our welcoming customer service representatives today to get the details. Register Online or over the phone today and dismiss your Louisiana traffic ticket tomorrow! Whichever way you view it, receiving a traffic citation is going to put a dent in your wallet. When you take a defensive driving course Louisiana approves, however, you will not only save money by keeping your auto insurance premiums low, but will also keep a clean driving record. When you let a Louisiana traffic ticket stay on your record, you automatically put yourself at risk for serious consequences, such as a suspended license, fines, or even jail time, which nobody wants. The number one benefit you receive from our Louisiana driving school is learning the art of becoming a defensive driver and being safer on the roadways. With safer drivers appearing on the roads after participating in Louisiana defensive driving programs, such as ours, more lives are saved. Register Now for our online traffic school Louisiana course and save time, trouble, and money! If you're ready to be rid of your nuisance of a traffic violation, getting started in our course is easy and only takes a few moments of your time! All you need to do is Click Here and you will be taken directly to our online registration form. After you fill out all the required information, you can start our Louisiana driving school right away if you wish! If you prefer, we also offer live Customer Support available 24/7 with helpful staff members that can assist you with your registration. Why wait any further to register for our course? Fulfilling your defensive driving requirements is only a click away!